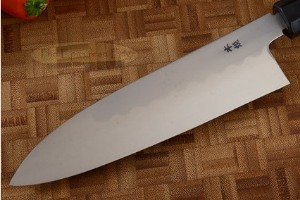 Blade height (at heel): 1.62 in. 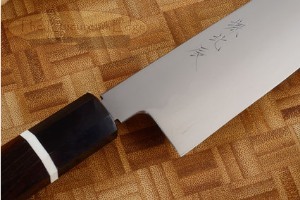 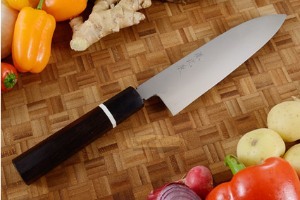 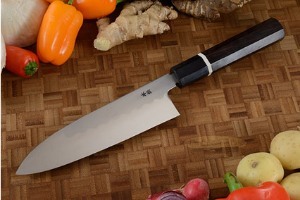 The santoku is the traditional Japanese chefs knife and has quickly become the new favorite for chefs in the West. 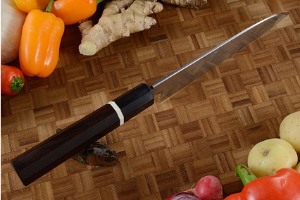 This comfortable design is a fantastic multipurpose chopper - whether slicing onion or chopping fruits and vegetables, the santoku is a perfect knife to grab.